Bringing Landowners, Forest Product Companies, Best Practices and Tools Together for the Health and Productivity of our Southeastern Forests. The Appalachian Woodlands Alliance (AWA) is a project of Rainforest Alliance and leading forest products companies including Avery Dennison, Columbia Forest Products, Domtar, Evergreen Packaging, Kimberly-Clark, and Staples. 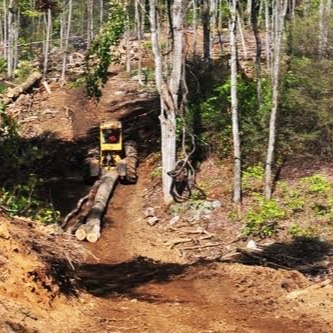 Aimed at developing new resources and increasing forest owner participation in scientific, sustainable forest management in the Southern and Central Appalachians, the AWA promotes good stewardship. Productivity, profitability, and positive environmental outcomes are possible when we work together. AWA partners share a deep commitment to advancing sustainable management of the region’s forests, backed up by significant efforts to procure responsibly managed timber. The AWA works with private landowners to provide technical and market support for responsible forest management of their woodlands. Our partners work to connect woodland owners with strong market demand for a diverse products from sustainably managed forests. We’re always keeping up to date on current events in the region and marketplace developments as it applies to our landowners and partners.